Well its official! The revolutionary new additive Cureplex is now available in our three North Brisbane Wow! hair salons. This fantastic new product has taken the world by storm since it’s release in April 2015 and the results we have achieved with the product so far are amazing. 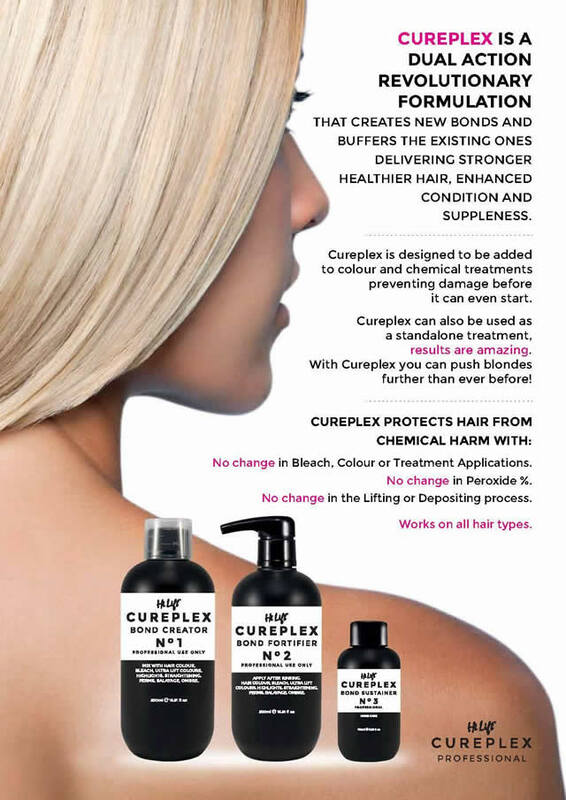 Cureplex is designed to be added into the professional colour and lighteners we use in salon to help maintain the structural integrity of the chemical bonds in the hair and of course the overall health of the hair. So I hear you ask what does Cureplex do? First of all understand that your hair strands are made up with lots of tiny bonds that form one single strand. Hair breakage occurs when the bonds break down from chemical treatments (irrespective of how gentle the product might be). This tends to occur commonly when hair undergoes many treatments like colouring and constant stresses (straightening, perms etc.). 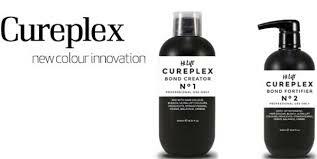 Cureplex creates new bonds in the hair and buffers existing hair, whilst delivering added elasticity, strength, and enhanced conditioned softness. 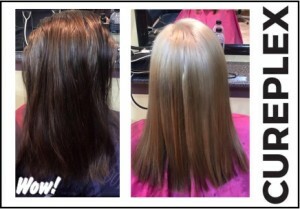 Perform Colour corrective services whatever the damage and achieve the right colour in one sitting. Our Brisbane Northside salon pricing for the Cureplex in salon treatment is usually $50 more than the service you are getting done in salon and includes the Cureplex No.3 Bond sustainer take home treatment. This will ensure the continued health of your hair even after you leave the salon. If you would like any more information please email us for more information or to book a obligation free quote with on of our stylists at our Taigum, Toombul and Strathpine and see if this product could be suitable for you. For more information consult our printable brochure. This entry was posted on Tuesday, February 16th, 2016 at 2:41 pm	and is filed under Education, New products. You can follow any responses to this entry through the RSS 2.0 feed. You can skip to the end and leave a response. Pinging is currently not allowed.